Our passion is helping business owners, families and individuals answer one very important question, "How well are you planned and how can you tell?" 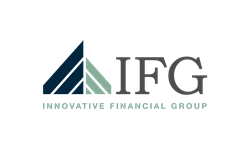 Innovative Financial Group Alpharetta is a full service operation with over 45 years of experience. Our process begins with you. We will ask relevant questions to know ''What keeps you up at night'' and ''What wakes you up in the morning''. This allows us to create clarity on how we can serve you. After a thorough discovery of your unique situation, our team approach creates strategies that address each of your unique intentions, goals and issues. We then determine priorities, timeframe and implementations. We continually monitor your plan. We know things happen and change over time. As your trusted advisor, we will be there to ensure you stay on track for the commitment you made to yourself and the people that matter most to you.